Life is now a battle and a journey. As Eugene Peterson reminds us, “We must fight the forces that oppose our becoming whole; we must find our way through difficult and unfamiliar territory to our true home.” It’s not that there aren’t joy and beauty, love and adventure now—there are. The invasion of the kingdom has begun. But life in its fullness has yet to come. So we must take seriously the care of our hearts. We must watch over our desire with a fierce love and vigilance, as if we were protecting our most precious possession. We must do battle with the enemies of our hearts—those sirens that would seduce and shipwreck our desire and those arrows that aim to kill it outright. And we must journey forward, toward God, toward the Great Restoration and the Adventures to come. How awful to reach the end of our life’s road and find we haven’t brought our hearts along with us. So let me say it again: life is now a battle and a journey. This is the truest explanation for what is going on, the only way to rightly understand our experience. Life is not a game of striving and indulgence. It is not a long march of duty and obligation. It is not, as Henry Ford once said, “one damn thing after another.” Life is a desperate quest through dangerous country to a destination that is, beyond all our wildest hopes, indescribably good. Only by conceiving of our days in this manner can we find our way safely through. You see, different roads lead different places. 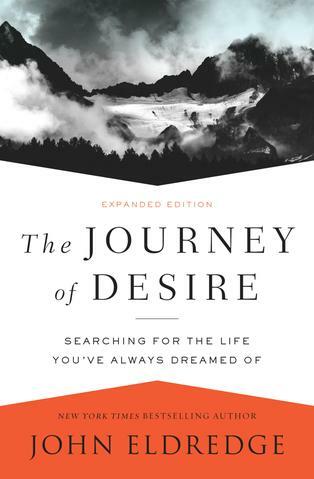 To find the Land of Desire, you must take the Journey of Desire. You can’t get there by any other means. If we are to take up the trail and get on with our quest, we’ve got to get our hearts back...which means getting our desire back.